PlastiCard offers proven cost-effective software solutions for all of your ID Card requirements. Each of these identification software packages offer you sophisticated Microsoft Window-based photo ID software solutions that are affordable and easy to use. ID Keeper - A complete identification and badge issuance system from card design, photo capture, signature capture, personalization to printing. A proven cost-effective solution for your ID card requirements. Employee Keeper - A complete identification system from card design, photo capture, signature capture, to fingerprint capture, in/out tracking with positive verification and report generation. Available as an enterprise solution or in individual modules. 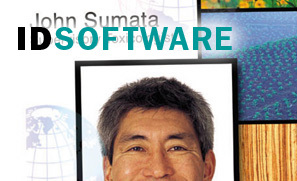 EPI-Suite - The EPI-Suite line of software combines robust, sophisticated card design, a secure reliable database, and complete customization to meet all of your photo identification needs. Three versions are available (Lite, Classic and Pro) to meet the unique requirements of smaller, mid-size and larger corporations, organizations and institutions. Pronto Professional - A proven and powerful software program that can link the design to databases, encode magnetic stripe, process smartcards, create effects and manage overlay, hologram or scratch-off ribbon. Scalability is available through editions in order to meet user needs and budgets.